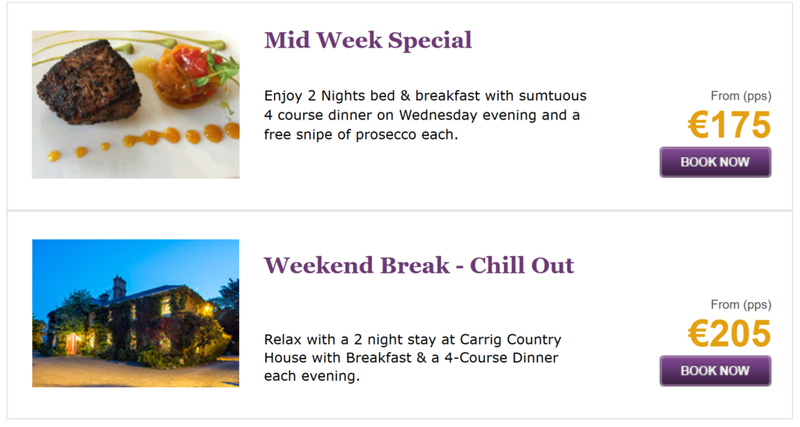 Join Carrig Country House for an autumn break on the Ring of Kerry. Some say this is the best time to visit: you can relax with a good book by the roaring fire 'and a wee dram' away from 'the madding crowd' . You will enjoy a fine wine and dining experience, followed by the sleep of your life. Perhaps go for an after breakfast stroll by the lakeside to our jetty.